Purba Ray is a wonderfully gifted writer with an impeccable sense of humor. Infact, the best female humorist I’ve ever come across. An ex teacher, who has an opinion on everything and anything, including agricultural subjects like the best place to grow mushrooms while on the go. Given that most men in India die for Cricket, being a mad football fan is going against gender stereotypes. I hate cricket, but I love football. I’m a fan of Manchester United, and EPL. I have even skipped board exams to watch game replays, Replays – would you believe?!! (but even if I had appeared for the exam, I would not have cleared anyway) Check out my football blog here. I like watching college love story themed movies (My wife was my classmate in graduation). English was my favorite subject in college (but still in level 2). Can’t stand blood and injection (medicine). Used to collapse (faint) when I was in school, no better even today. Regularly watch cookery shows (have learned to boil water and make omelets). Love dogs (have one by name June. My biggest job these days is to keep her away from the male dogs in the neighborhood. Rainy season out here). And finally, being the only male in the house (wife, daughter, and mother-in-law make the female crowd) I’m beginning to feel like a Ladies’ Hostel warden. I stop here since 7 is my lucky number. Ashwin Ramasamy – He runs a humor show by his name. Pallavi – share the tax free thoughts of a delhizen. Lion Girl – an ever smiling blogger. Lion Girl, Truly Malaysia! Magic Eye – who never fails to encourage me. Owns an excellent travel blog. Venky – a boy trying to discover his real self. Please help him. Too good for his age. Sharmila – a blogger from Kolkata. Quality photo blog. Pria – I wonder ‘what happens if she doesn’t blog’?! The author is a wandering soul with no place to call his home town. He was born in Kerala, brought up in several parts of Tamil Nadu, and currently living in Bangalore, shifting his base across the city on a yearly basis with fellow (unfortunate) wanderers, his wife (Libena) and little daughter (Tanaya). Despite all these, the author is a happy soul with no complaints on anything. He wakes up in the morning and sleeps at night and in-between he ducks, stumbles and dances through this world. Am not going to play the humble card and question your sensibilities with naaah am just about ok.
Coming to your list, glad you picked up the tag. I used to watch cricket all the time when I was in school especially when my exams were on. Football bores me. Laughed the loudest at #7. And how pampered are you, “can boil water and make omelets”!! Good to know you really enjoyed reading this. Hmm..should I or should I not pick this bait? Counting the number of pink t-shirts and beauty creams…i should! Yes go ahead and pick the tag. I do follow vadivelu comedy and I’m glad to see a fellow warden. because of my aversion to blood, I just dont go to hospitals unless it is absolutely necessary. @ Pallavi: High? you sound like a blood thirsty vampire LOL. Thanks for the tag. I am on vacation and will do it once I return back. very nice of you Pria. Hey….thanks. Will read your post soon. hi! i am new to ur blog. Liked your “sins” !! nice description of feeling like a girl’s hostel warden! LOL!!! will keep coming back. Thanks for promoting my posts in indivine. The Wide Angle Wild Life Photographer Strikes Again! And then there was Lightning! How I managed to forget my wife’s birthday every year for the last ten years, and still be alive!! The Mother of All Tongues - Thallae! 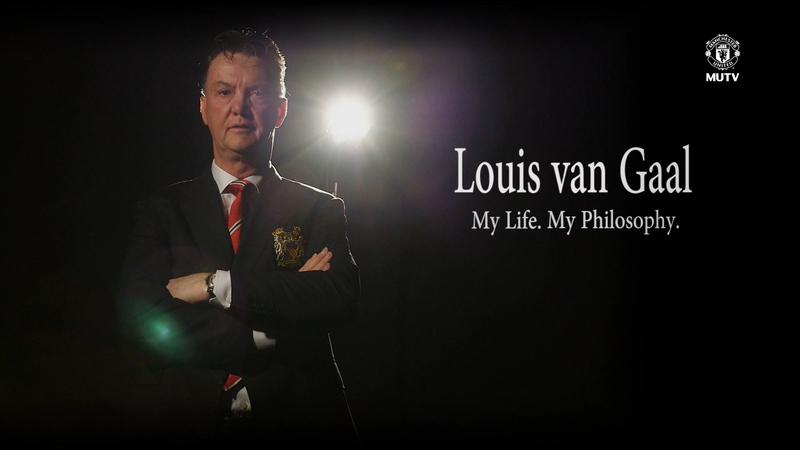 Is Louis van Gaal right to abandon the United Way? Rooney Rule – Will it make its way into English Football?